The museum is dedicated to remembering the Holocaust by displaying oral histories, artifacts, photos, documents, and film footage from the Holocaust experience, and to preserve the memory of the millions who were persecuted and murdered by the Nazis between 1933 and 1945. It also provides a detailed education on what transpired, to increase awareness and understanding, and hopefully help keep any similar kind of occurrence from happening again. A year later President Carter signed Public Law 96-388, creating the U.S. Holocaust Memorial Council. Groundbreaking for the museum took place in 1985, and in 1988 the cornerstone was laid, with President Reagan speaking at the ceremony. Construction was completed in 1993. Speakers at the dedication ceremony included President Clinton, Chaim Herzog, and Elie Wiesel. The museum opened to the public on April 26, 1993, with the Dalai Lama as the first visitor. The U.S. Holocaust Memorial Museum is a multifaceted entity that broadens public knowledge about the Holocaust through a combination of exhibits, programs, archives, artifacts, collections, publications, a library, research, preservation, commemoration, training, and global outreach. The museum houses a permanent exhibition that occupies 36,000 square feet on three floors and presents a narrative history using 4 theaters, 70 video monitors, and 900 artifacts that encompass a self-guided tour visitors can take at their own pace. Additionally, the museum Web site displays on-line exhibitions, ranging from Nazi Persecution of Homosexuals to The History behind the Movie The Pianist, which is set in Holocaust-era Warsaw. Since 1991, the museum has presented traveling exhibitions that have so far been to more than one hundred cities and thirty-five states, covering topics from the 1936 Nazi Olympics in Berlin to a look at how Nazi Germany carried on a campaign to “cleanse” German society of people viewed as biological threats to the nation’s health. There are also live programs at the museum and around the country put on by the museum, ranging from conversations with Holocaust survivors and liberators to lectures by experts on genocide prevention. Among the collections, archives, artifacts, and publications in the museum are personal effects and various other items representing the lives of victims—advertisements, armbands, clothing, correspondence, dolls, drawings, jewelry, journals, machinery, musical recordings and instruments, pictures, and sculptures. Additionally, a training and outreach division organizes conferences with middle- and high-school teachers around the country, and shares methods and strategies for presenting Holocaust topics to students. There is also a program specifically designed for Catholic educators, as well as a curriculum devised for law enforcement officers, to help them draw lessons from Holocaust history. Visits are also arranged for incoming West Point and Naval Academy cadets as part of their studies about the role of the military in protecting a democratic society. Community Partnerships/What does the Holocaust Have to do with Me? The U.S. Holocaust Memorial Museum erupted in violence on June 10, 2009, when an elderly white supremacist opened fire at the museum’s front entrance, killing an African-American security guard. James Wenneker von Brunn, 88, carried a rifle as he approached the building. When security guard Stephen Tyrone Johns, 39, opened the door for the visitor, von Brunn shot and fatally wounded him. Two other guards shot von Brunn, who was eventually held in a prison hospital in Butner, North Carolina, while awaiting trial. Von Brunn was charged with first-degree murder and firearms violations. But he never stood trial because he died in the prison hospital the following January. He reportedly had been suffering from chronic congestive heart failure, sepsis, and other health problems. A Holocaust denier, von Brunn had been arrested and convicted for entering a federal building with various weapons in 1981, when he attempted to arrest the entire Federal Reserve Board of Governors on grounds of treason. The International Tracing Service (ITS), created in 1946 and located in the small German town of Bad Arolsen, is devoted to finding people lost to family and friends during World War II. The ITS archives include more than 50 million pages and 150 million digital images, with references to 17.5 million people, on topics from transportation lists to Gestapo orders to slave labor booklets. Much of the information it holds was hidden from the public for more than 50 years. In August 2007, after a long period of international outcry, the ITS began transferring digital copies to the Holocaust museums in Washington D.C., Israel, and Warsaw. In mid-January 2008, the U.S. Holocaust Museum began making these files available to the public, either by allowing people to come in to search through them, or by having them request information by phone, e-mail, or fax. Currently ITS maintains a Web site that offers a Search function for researching information. However, the online inventory provides only a summary of the contents of the archive, and not an in-depth view of all the items in each collection. Archiving and cataloging is ongoing. 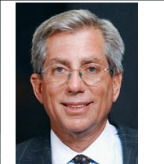 Fred S. Zeidman, who was appointed chairman by President George W. Bush in 2002, grew up in Wharton, Texas, and received a BS degree in finance from Washington University in St. Louis in 1968 and an MBA from New York University in 1970. Houston-based, he began his career in the Corporate Finance Department of Dean Witter. Later he served as Vice President of Alliance Business Investment Company; Chairman of the Board of Unibar Corporation; Chairman of the Board and President of Parking Inc; President and Chief Operating Officer of Service Enterprise; President of Enterprise Capital; President of Interpak Terminals; Chief Executive Officer and Director of InterSystems; Chairman of the Board of Seitel; Chairman of Turnaround Partners; Founder of Houston Venture Capital Association; Managing Partner of WoodRock & Company; Chairman of the Southwest Region Anti-Defamation League; Vice President and Director of the Jewish Institute for National Security Affairs; and Vice Chairman of the Board of Regents, Texas Southern University. In 2005, he was appointed Senior Director of Governmental Affairs for Greenberg Traurig, where he is still on staff as a lobbyist. Zeidman is also is on the Jewish National Fund’s Board of Directors and Executive Committee; the Executive Committee of the American Israel Public Affairs Committee (AIPAC); and he is a National Board Member of Development Corporation for Israel; and he is the Texas State Chairman of Israel Bonds. In April 2006, President Bush named Zeidman’s son, Jay, White House Liaison to the Jewish Community. He was 22 at the time. In January 2007, John McCain engaged Jay Zeidman to help with Jewish Outreach in his presidential campaign. Fred S. Zeidman is an active campaigner for the Republican Party. He was vice chairman of the Dole-Kemp Presidential Campaign in Harris County, Texas, in 1992. In 2000, he earned Bush Pioneer status for his fundraising feats for the Bush/Cheney campaign and in 2004 he moved up to Bush Ranger. He was also co-chairman of Victory ’04 Florida Jewish Outreach/Bush-Cheney ’04. Zeidman is currently vice chairman of the Republican Jewish Coalition; co-chair of the Finance Committee of the Republican Party of Harris County; and he serves on the Finance Committee of the Republican Party of Texas. Zeidman also contributed to the 2008 presidential campaign of Rudy Giuliani. Chairman Rabbi Irving Greenberg attacked for recommending a Bill Clinton pardon for Marc Rich. New York City developer Tom A. Bernstein raised at least $100,000 for George W. Bush’s 2000 presidential campaign and was rewarded with an appointment to the U.S. 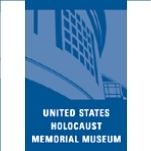 Holocaust Memorial Council, which serves as the Board of Directors for the U.S. Holocaust Museum in Washington, DC. In 2008 he switched parties and raised at least $200,000 for Barack Obama’s campaign…and was again appointed to the Holocaust Council. In September 2010 Obama appointed Bernstein Chair of the Council. Born November 23, 1952, to Helen Bernstein and Robert L. Bernstein, who was the president of Random House publishing company and a founder and chairman of Human Rights Watch, Tom Bernstein earned his B.A. and J.D. at Yale University in 1974 and 1977, respectively. From 1977 to 1978, he served as a law clerk for Judge Jack B. Weinstein of the Federal District Court for the Eastern District of New York. Bernstein practiced entertainment law from 1978 to 1983 at the law firm of Paul, Weiss, Rifkind, Wharton & Garrison in New York. 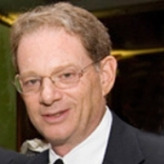 In 1983, Bernstein left law practice to form, with Paul Weiss and Yale alum Roland Betts, the Hollywood production company Silver Screen Partners, which between 1983 and 1998 financed 75 films, including such hits as The Color of Money, Tin Men, Beauty and the Beast, Pretty Woman, The Little Mermaid and Sakharov. Betts, a crony of George W. Bush since they were fraternity brothers at Yale, brought in Bush as a partner in Silver Screen from the beginning, and Bush returned the favor by making Bernstein and Betts among the principal partners in the ownership group led by Bush that owned the Texas Rangers baseball franchise from 1989 to 1998. By the early 1990s, Bernstein had begun to focus his energies on Chelsea Piers, L.P., which he and Betts co-founded in 1992 to develop and operate a sports and entertainment complex at the Chelsea Piers, a 30-acre waterfront site located between 17th and 23rd Streets along Manhattan’s Hudson River. The $100 million project transformed the four historic but neglected piers into a sports and recreation juggernaut attracting more than 4 million visitors each year. In 2002, Bernstein was appointed by President Bush to serve as a Member of the U.S. Holocaust Memorial Council in Washington, D.C., of which President Obama named him Chair in 2010. Bernstein has been actively involved in many organizations, including Human Rights First, Council on Foreign Relations, WNYC Radio, Fresh Air Fund, Partnership for Public Service, City Year New York, Center for Civil and Human Rights, Partnership for Public Service, Fund for Cities of Service, NYC & Company, Inc. and the Markle Foundation. From 2002 to 2005, Bernstein was co-founder and chairman of the International Freedom Center (IFC), a proposed cultural institution developed as an educational complement to the World Trade Center Memorial, which was killed by New York Governor George Pataki after criticism that any attempt by the IFC to contextualize the events of 9/11 would be anti-American, a charge Bernstein vehemently denied. Bernstein is married to Andrea L. (Echikson) Bernstein, a former executive at Oxygen Media who served on the host committee for the 2004 Republican National Convention. The couple has three children. Originally a Democrat, from 1992 to 2010 Bernstein contributed $146,380 to political candidates and causes associated with both major parties, and to third party causes as well. Bernstein’s contributions to Democrats have totaled $87,380, including $1,000 to Bill Clinton in 1995 and three major contributions for 2008: $4,600 to Barack Obama, $10,000 to the Democratic Senatorial Campaign Committee and $28,500 to the Democratic National Committee. His contributions to Republicans come to $54,500, including $4,000 to George W. Bush’s campaigns and $50,000 to the Republican National Committee in 2003 and 2004. Bernstein was also a major fundraiser for the former president’s two election campaigns, achieving “Bush Pioneer” status by raising at least $100,000 for Bush. Fred S. Zeidman, who was appointed chairman of the U.S. Holocaust Museum by President George W. Bush in 2002, grew up in Wharton, Texas, and received a B.S. degree in finance from Washington University in St. Louis in 1968 and a Master’s in Business Administration from New York University in 1970. Houston-based, he began his career in the Corporate Finance Department of Dean Witter. Later he served as Vice President of Alliance Business Investment Company; Chairman of the Board of Unibar Corporation; Chairman of the Board and President of Parking Inc; President and Chief Operating Officer of Service Enterprise; President of Enterprise Capital; President of Interpak Terminals; Chief Executive Officer and Director of InterSystems; Chairman of the Board of Seitel; Chairman of Turnaround Partners; Founder of Houston Venture Capital Association; Managing Partner of WoodRock & Company; Chairman of the Southwest Region Anti-Defamation League; Vice President and Director of the Jewish Institute for National Security Affairs; and Vice Chairman of the Board of Regents, Texas Southern University. Fred S. Zeidman is an active campaigner for the Republican Party. He was Vice Chairman of the Dole-Kemp Presidential Campaign in Harris County, Texas in 1992. In 2000, he earned Bush Pioneer status for his fundraising feats for the Bush/Cheney campaign and in 2004 he moved up to Bush Ranger. He was also Co-Chairman of Victory ‘04 Florida Jewish Outreach/Bush-Cheney ’04. Zeidman is currently Vice Chairman of the Republican Jewish Coalition; Co-chair of the Finance Committee of the Republican Party of Harris County; and he serves on the Finance Committee of the Republican Party of Texas. Zeidman also contributed to the 2008 presidential campaign of Rudy Giuliani.